← How to set bit depth when converting HTML to BMP? Are you looking for a serial key for your PDF to Word Converter? The VeryPDF, Inc. now provides a discount of 20% for the application VeryPDF PDF to Word Converter for celebrating the coming New Year. Before December 31, 2011, you can get the powerful application with a price 20% lower than before. Are you looking for a free serial key? You know that you cannot obtain everything free. Some people always try to hack your system with providing fake serial key in a package. After finding the package with costing plenty of time, what will you think that you just have a fake serial? What is worse, the package that contains the serial key may affect your system and someone may steal your privacy information via a malware. Frankly, there are indeed some kind people offering you a real serial key. Nevertheless, just think about how much time you have spent in searching for a serial key. You will find that you have spent too much time in it. Time is more precious than the money you used for the application. So why do you make yourself exhausted in such a tiring thing? If you buy an official license just now, you will have the privilege of 20% off the price. 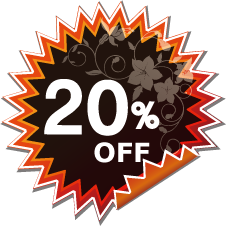 The coupon of discount can save 20% of the price for you, and the deadline for this discount is December 31, 2011. Do not wait, just click this coupon link, and you will get an official serial key for PDF to Word Converter at a 20% off price. Hi, if you pay for it on our website then the code will be sent to your email address automatically.